Christopher Robin comes in at the tail end of the summer blockbusters with its quiet nostalgia and self reflection. It’s the perfect film to settle down with after the rush of action films. 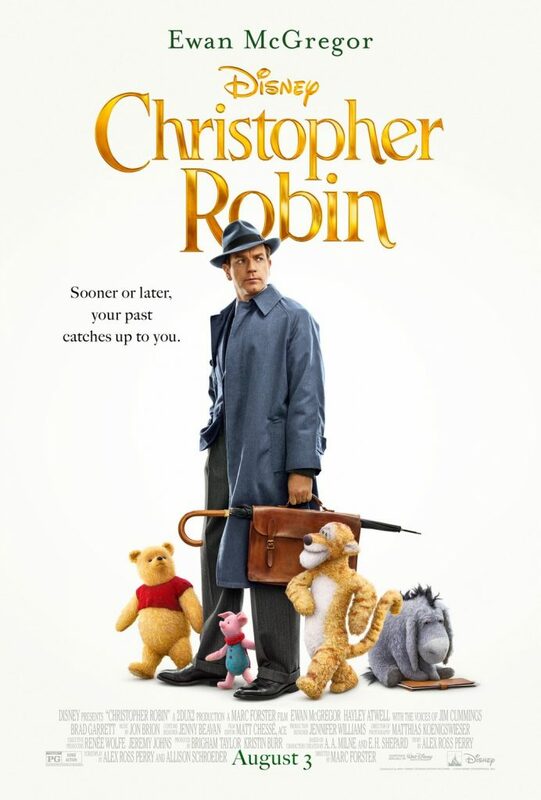 Along with the Marvel movies slated this year, Christopher Robin was in my top hype. Winnie the Pooh animated films don’t tend to perform well in the box office and no one is sure why. For something so beloved since the 60s like many other things that have been, or made resurgences, why not Winnie the Pooh? Perhaps it’s due to the target audience being younger children. But you can’t deny the lessons that were taught in your youth that have followed you into adulthood. And that’s why Christopher Robin worked so well. Christopher Robin, the character, is all of us that have grown up and become embittered by the world. Forced to grow up a little too soon, years go by and you have to let go of things to survive, and eventually work consumes your life. The struggle to find work to support yourself and family and you do what you can to survive. Things like loved ones, kindness, fun, and relaxation take a rest on the back burner. Then one day you’re reminded of who you once were and how much simpler life was. With the reminder comes the regret. How could you forget? Could you ever get the feeling again? Do you deserve to have it back? Would apologizing to your loved ones be enough? The answer is yes. One should never lose their sense of play and childlike wonder and the power of Doing Nothing. Taking time for yourself. Disney has been adding darker tones to their live-action adaptions to animated films. It works in someways and other ways not. The tonal shift in this sort of biopic worked due to the narrative it was selling – Life can be dark and dreary (like London most times), but some fun and imagination can shine brighter. This movie gave me an existential crisis. It hurt me just like I wanted it to and it’s the reason I still, and always will, love Winnie the Pooh. Even hearing Jim Cummings voice coming out of CGI Pooh on the big scream brought me to tears. Please give that man an Oscar.